The social media platform had amassed 2 billion active users and millions of business pages. This offers the ultimate channel for marketers to draw attention to their brands. And with 53% of users claiming to be “always on” Facebook, the platform boasts the most rabid user-base of any social platform by far. Whilst the engagement on Facebook is strong, the competition for this engagement is also fierce between businesses. That’s why devotion to Facebook advertisement has been on top of every marketers’ bucket list. Oftentimes it’s the more subtle aspects of your content strategy or page setup that could make the most difference in terms of performance. Given your brand profile structures the face value of your business, to overlook such an important aspect is very much unhealthy for businesses – giving off an impression of non-professionalism. With 180×180 pixels to work with, brands should be demonstrated in the most simple way possible. Text cramming for a logo is never a good design. The key to be treated with professionalism and adoration by your followers starts with the first impression to your brand. The takeaway here? Don’t just slap any old picture on your profile and call it a day. Put some thought into it. The next area of your profile real estate rest within your cover photos. It represent another crucial piece of imagery to potentially “wow” visitors. Digital marketing tools such as Landscape can help you attain a digital cover for your profile in a very sleek format. With video lengths between 20 and 90 seconds while working within the 820×312 pixel limit for covers, there are plenty of options for brands to be creative. Among our list of Facebook marketing tips, this feature is still relatively untapped by brands so don’t be afraid to experiment accordingly. Between Facebook Live and the platform’s native video player, video content marketing and Facebook go hand in hand. Video is the most visual medium to capture eye-time of prospects. Video represents the ideal way to encourage fans to spend more time engaging with your brand. It’s much more than just including Youtube video in your feed every now and then. According to Adweek, native video on Facebook is favored by the platform’s algorithm and receives exponentially more comments and shares as a result. Whether it’s a live Q&A or tutorial-style content, putting some consideration on content marketing is very important aspect into growing your digital marketing campaign. Posts are also another form of eyeballs engagement, some post succeed whilst others fade into the background. What exactly does it takes to build for traction? Diversifying your content distribution represents one of the biggest Facebook marketing tips for brands looking to show up in their followers’ feeds. For starters, posting solely self-promotional content isn’t going to do much to rile up your current followers or drum up new ones. While there’s nothing wrong with linking out to your blog or products, external links shouldn’t be the only source of your content. Conventional wisdom also tells us that Facebook prefers posts that stay within their walls, so to speak. That’s why incorporating solely text-based, photo or videos posts into your feed versus constantly linking out is a smart move. An essential piece of optimizing engagement is not only a matter of what you’re posting, but also a matter of when you’re posting it. The best time to post something is during the middays of the week on all social media platforms regardless of whether it is Facebook, Instagram, LinkedIn or Twitter. The key to such optimisation is very much similar to one in WordPress scheduling, you can set up your Facebook to automatically push content during peak engagement hours. Scheduling your posts in advance is a must-do for brands looking to tick all of the boxes of what makes an effective Facebook presence. People have high expectation on customer care for the products they had purchased, response time to your customer must range with 1 to 4 hours of their comments to assure the best time for customers engagement. The need for speedier brand responses signals yet another reason why social scheduling is so critical. By having your content sorted out in advance, you can focus more on follower outreach and engagement versus scrambling for a new post. With Sprout’s Smart Inbox, you can quickly respond to comments and questions from your customers on Facebook from anywhere. As part of putting these Facebook marketing tips into action, make sure that you’re keeping a close eye on your social analytics. 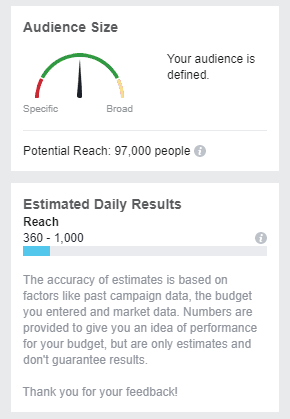 Analytics clue you in on which type of content gets the most clicks and impressions, helping to optimize your Facebook strategy in regard to which types of posts drive engagement. If you find that you’re spinning your wheels or your audience isn’t growing, chances are it’s time to make a change. But until you look at your presence by the numbers, you’ll never know. Marketers are taking advantage of Facebook’s highly-targeted ad platform like never before and seeing huge returns as a result. That said, if you haven’t spent some serious time experimenting with Facebook’s ad creator, you need to carve out some time to see just what it has to offer. Just because you ran a static ad a few years ago to no avail doesn’t mean you should give up on Facebook advertising. For example, creative formats such carousel ads represent a interactive means of marketing to new fans and followers. From video ads to promoted posts and beyond, Facebook ads afford flexibility and features like no other social ad platform out there. Last but not least, optimizing your Facebook ads ultimately boils down to your target audience. Many first-timers make the mistake of trying to run an ad that’s way too broad and quickly blowing out their budget as a result. Facebook ads allow you to get ultra-granular in terms of targeting location, demographics and interests, meaning brands can zero in on a specific audience versus settling for a shot in the dark. In addition to trying out new ad formats, honing in on your target audience may take some time. Given the ROI of Facebook ads, though, doing so is definitely worthwhile in the long run.